Danish toy maker Lego says sales soared 25 percent 2012 thanks largely to the new Lego Friends series of building blocks designed for girls. Sales growth driven by a novel rollout for girls, Lego Friends, that sold much better than expected, to the extent that the company was unable to keep up with demand. While many were critical of Lego’s choice to create their line of Lego “Friends,” the pink and purple hued girl-centric building kits, they were really only pursuing a course in market segmentation 101. One of the most simple and meaningful segmentation platforms available to brands is to segment by gender. Yet the new pastel color palate and tall, slim lady mini-figures in different scenarios from suburban homes to the beauty parlor were highly criticized for sexist stereotyping. 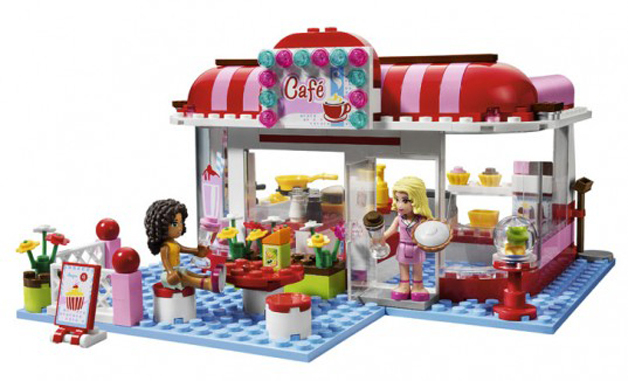 However for the brand, Lego Friends range became the company’s fourth-bestselling line in only its first year (behind Star Wars, Ninjago, and Lego CITY). What makes Lego such a stunning case study in brand management is that its fundamental offer (snug stud-into-tube bricks that hold fast but come apart easily) has not changed since 1958, but the application context in which they play out continues to evolve. As CEO Jørgen Vig Knudstorp says , “the challenge is to take known constructs and organize them in new and surprising ways. Who would have thought that such a brand was only just now truly adapting its offer to the females. So what is the moral of the story? Have a think about your own brand and define the most most obvious market segment that you could be serving far better and you are not. Sometimes the opportunities are far closer than you anticipate.